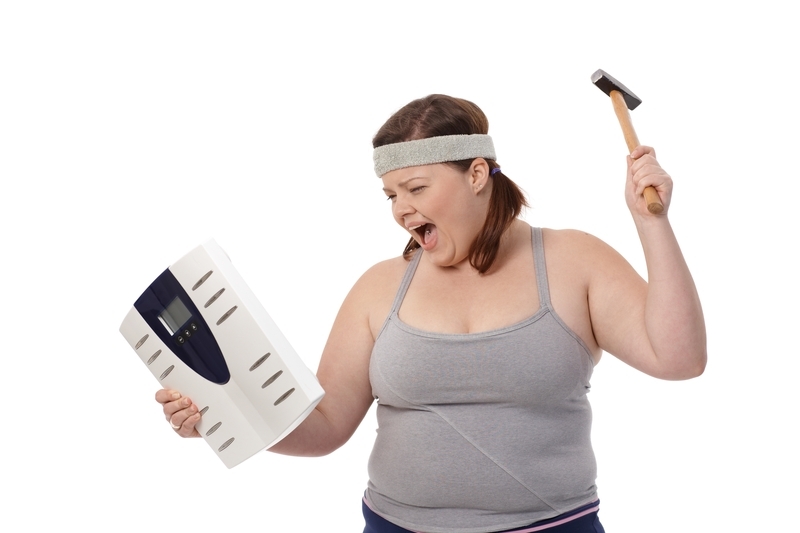 Confused about fat loss? – Roice Gummer – Lifestyle Transformation Coach. So, today I’m going to talk a little bit about a subject which I get asked every single day, without fail! Well, don’t go destroying your scales like this poor gal! There is a simple two answers I can give, which you would need to change to see results. If these two things are not as they should be, your body will NOT burn body-fat, mainly because there is no calorie deficit. To put things simply, no calorie deficit = no fat loss, period!! See, the body is a very clever thing indeed. It can adapt to the most strenuous of situations and can be trained to cope with a tremendous amount of abuse and still perform at critical moments. However, the body is most happy when it is in a state called homeostasis; basically the point where not many changes are happening and everything is at balance. Yes, your body does NOT want to loose body-fat, I mean, why would it? It has an ample supply of energy sitting there, ready to use as and when it needs to, it keeps us warm, and plays a vital role in hormone balance and various other bodily functions. The problem with eating a very little amount of food is that over time, the body will reach that homeostasis at a low calorie intake. Then when your calories increase for a certain length of time, your body will have a fat-storing field day with all that extra spare energy units its getting. In order for your body to get rid of that precious body-fat, it needs to be placed into a situation where it has no choice; sustainable calorie deficit!